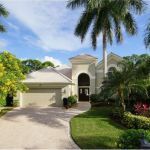 Welcome to the enchanting resort community of Wyndemere, nestled within the heart of Naples on the stunning gulf coast of Florida. Wyndemere opened in 1981, and is a private gated and member-owned country club and golf community with 634 established and diverse residences set within sixteen neighborhoods that occupy 450 pristine acres of magnificent nature preserves. In fact, Wyndemere has earned the recognition of being a Certified Audubon Cooperative Sanctuary. The Wyndemere community is completely controlled, monitored and managed by its unique members. 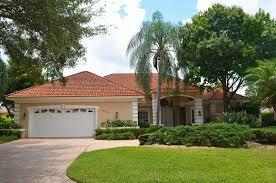 Wyndemere real estate for sale includes elegant condominiums, distinguished villas and gorgeous single-family homes. 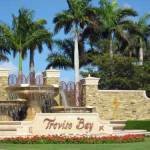 Over the past several years, the community of Wyndemere has become one of the most sought after upscale neighborhoods not only in Naples, Florida, but in Southwest Florida. Conveniently situated on Livingston Road between Pine Ridge Road and Golden Gate Parkway, the community of Wyndemere is nearby the breathtaking beaches and waters of the dramatic Gulf of Mexico, five-star luxury hotels, superior hospitals, medical facilities, schools, upscale shopping, casual to gourmet dining at The Village on Venetian Bay, The Waterside Shops, Mercato, The Coastland Mall, the boutique shops and fine restaurants of Fifth Avenue South and Third Street South, The Naples Philharmonic at Artis-Naples and The Baker Museum, The Naples Zoo and The Naples Botanical Gardens. Additionally, Wyndemere’s great location offers easy accessibility to Interstate 75 with just a 30-minute motor vehicle ride to Southwest Florida International Airport in Ft. Myers. The community of Wyndemere is alive and well…offering an enchanting lifestyle of golf and so much more. Tennis at Wyndemere is also offered with twelve Har-Tru clay courts, four of which are lighted for night play. The tennis court facilities have stadium seating, a full staff of certified USTA tennis professionals, a ball machine and backboard for practice, private lessons, member social tennis events, competitive tennis events, a fully stocked pro shop and are conveniently located near the clubhouse. Wyndemere Country Club is proud of its diverse membership and strives to provide various options to suit every individual’s needs, thereby offering a variety of memberships. 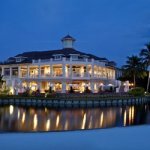 There is truly something for everyone at Wyndemere Country Club…from casual to gourmet dining with an award winning Executive Chef, tennis, a fabulous fitness center, championship golf, a sensational infinity swimming pool, an array of social activities and unique private events. Please note that membership prices and fees at Wyndemere Country Club are subject to change. For additional detailed information regarding the various club memberships, please feel free to contact the Membership Director, Cheri Martin at 239-643-6336. The Golf Membership is available to both Wyndemere residents and non-residents. Golf membership includes special golf events such as weekly designated days of golf for women and men, The Livingston Cup Tournament, Couples Sunset Golf, golf clinics, club championship tournaments, member-guest events and activities. Golf members enjoy use of golf, tennis, fitness, pool and the clubhouse facilities. Also, golf members have 7-day sign-up privileges for tee times. Initiation Fee of $40,000 (non-refundable) Converts to a Full Golf Membership at the 3 year Anniversary. Golf play permitted in season after 12:00 noon. The Non-Resident Sports Associate Membership is a 12-month membership and non-renewable. Wyndemere real estate for sale is on the ascent again and all the more reason for the sophisticated, well-informed buyer to explore his and her options with a seasoned real estate professional who understands the luxury real estate market and the distinguished individual in search of that exceptional residence. The real estate pricing for beautiful Wyndemere condominiums start at $100,000. Pricing for the magnificent Wyndemere Villas begin at $200,000 – $400,000, and elegant single-family homes start at $400,000 and range to over $1,000,000. Many of the Wyndemere residences for sale enjoy phenomenal views of the golf course, fresh water lakes or the natural preserve areas. 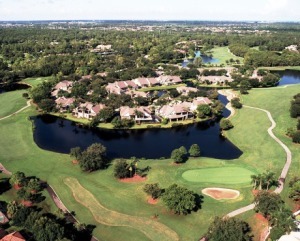 Living at Wyndemere makes the Florida lifestyle easy, carefree and rewarding. The magic of Wyndemere is alive and well…offering an enchanting lifestyle of golf and so much more.